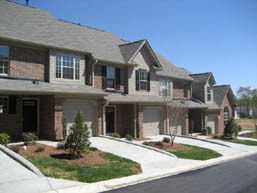 This 54-unit townhouse community in Greensboro, NC includes five models which range from 22 feet to 26 feet in width and 1200 - 1600 SF in size. 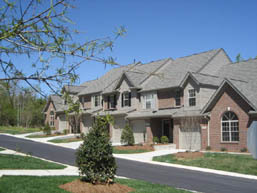 All models include a single car garage and extensive brick veneer on each facade. Two models included a first floor master bedroom. The site design yielded 8 units per acre.